God Lucky Howard of Tampa saw his luck run out after undercover police found him with 22 grams of cocaine. Undercover police officers took God into custody over the weekend on cocaine charges. He was arrested near a Tampa Florida Church. 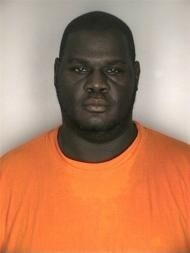 Named God Lucky Howard, the Tampa man had been the subject of a multi month drug investigation. He was arrested after selling cocaine to undercover officers, and a warrant to search his home led to the discovery of 22 additional grams of cocaine, and drug scales. Howard is charged with the delivery of cocaine, and the delivery of cocaine near a church and school. He is currently held on $86 500 bail bond.